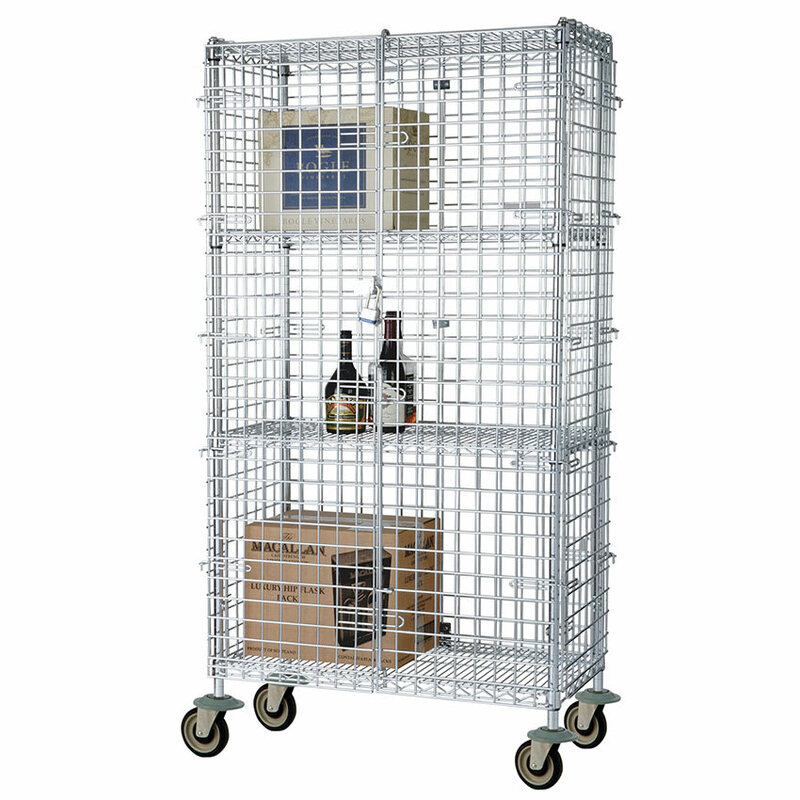 Protect valuable equipment and keep employees and patrons away from dangerous chemicals with this 36" mobile security cage kit. This mobile security cage kit is 18" deep and features a highly durable chrome finish that resists dents, scratches, stains and corrosion. A top and bottom shelf is included along with 2 front panels, 2 side panels, and 2 back panels. Assembly hardware comes complimentary with this chrome security cage kit so that you secure your sensitive items in no time. Four 5" casters come standard and allow you to easily move your chrome security cage from location to location. 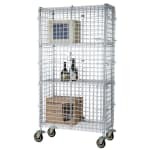 This mobile security cage kit is ideal for keeping expensive equipment, dangerous chemicals, and other sensitive materials safe!